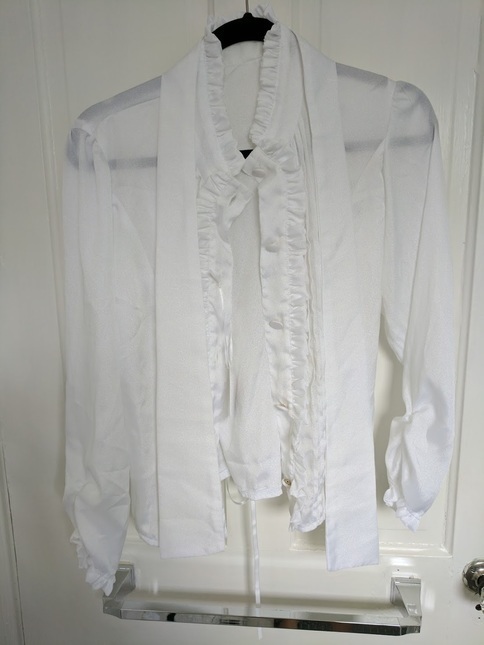 Gorgeous blouse from Lady Sloth. Tried on by previous owner, but otherwise new condition. 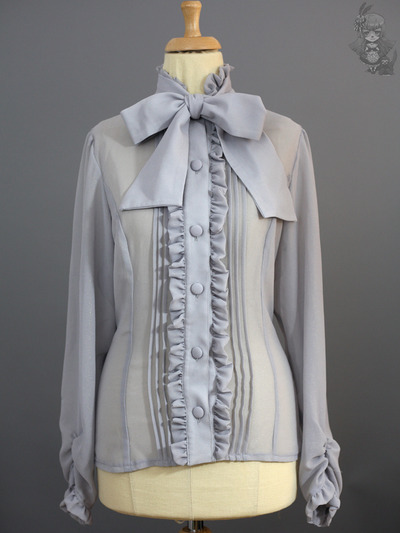 High collar blouse with detachable bow stripes. 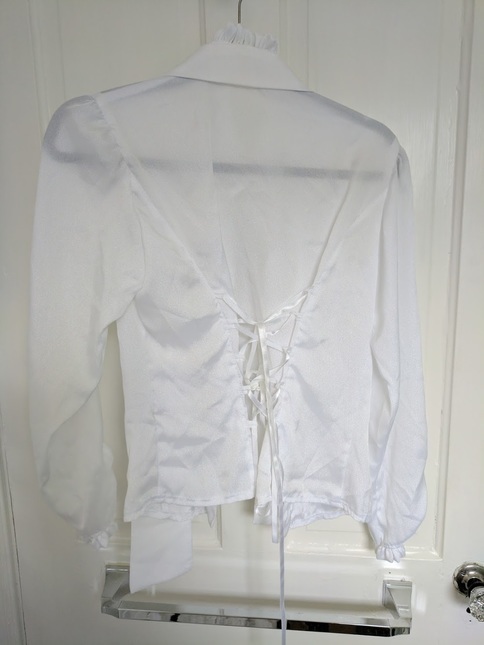 Back is laced but without any shirring. Please contact me if you have any questions. Happy bidding!